Claim your 1-year complimentary membership to Adobe Creative Cloud Photography plan! We've partnered with our friends at Adobe to offer you this amazing gift for a limited time only, ends 2018-12-31. 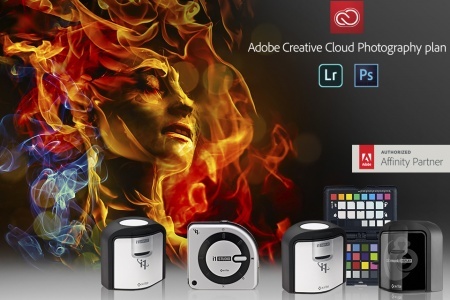 This incredible offer brings together the world's leading photo editing tools with the most advanced colour management solutions. This collaboration between X-Rite and Adobe provides you with a powerful, all-in-one solution that delivers complete creative control to your workflow. Get all your photography essentials with X-Rite and the Creative Cloud Photography plan, including Adobe Photoshop Lightroom CC, 20 GB of cloud store, Photoshop CC, and more. What's more, you can use your code whenever you want, so if you've just subscribed to a year of Adobe Creative Cloud Photography plan, you'll still be able to take advantage of this offer when you come to renew again!